Hello Friends, it is Leslie here with eight summery DIY ideas I found. Even if it is winter where you are I hope you find some of these ideas inspiring. 1. Lots of quick and easy ideas for cleaning up your home's entryway can be found at Real Simple like this one or this one. I love the painted on floor mat in this front hall! 2. 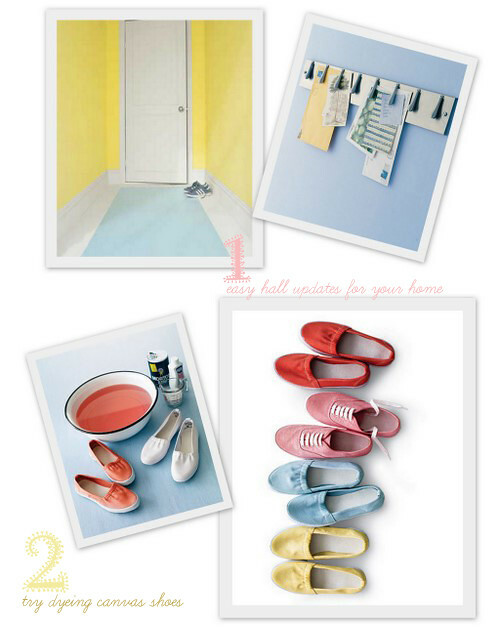 Check out the directions on how to use colorful dyes to brighten up any basic canvas shoe on Martha Stewart Living. 3. 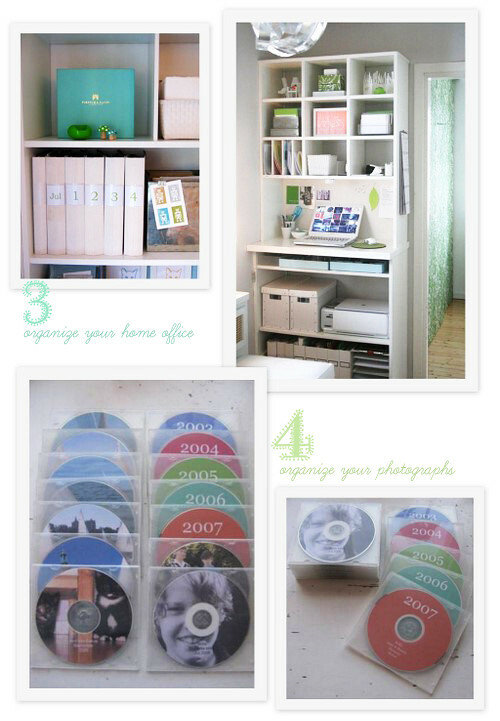 Benita of Chez Larsson shares her fabulous organization tips for her home office here and here. 4. Benita also explains about how she organizes her photographs in this post. There are lots of really good home improvement projects and ideas that Benita shares at Chez Larsson, I am sure you will enjoy reading more once you visit her! 5. Even though it is Winter in Australia, Donna Hay still has some beautiful summer entertaining recipes and ideas here. 6. I think poufs are everywhere because they are an easy way to add color or update a sitting area. Here is a pattern to make your own by Amy Butler. 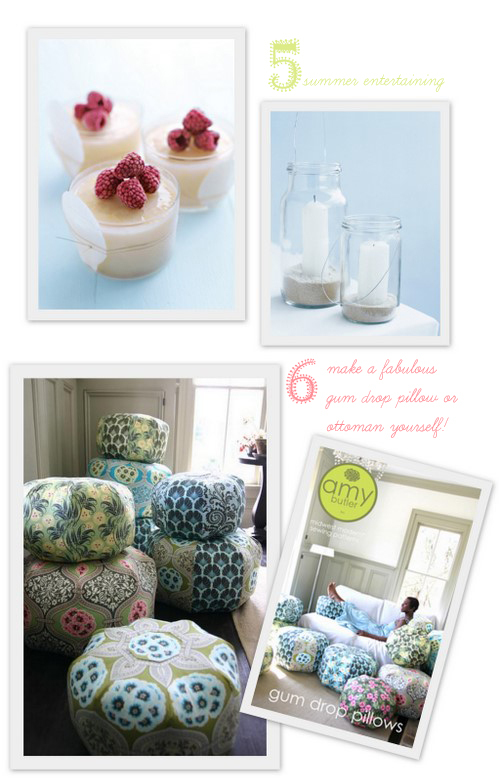 You can find more information about the pattern and how much fabric you will need on Amy's gorgeous site right here. 7. Isn't this DIY chevron rug project amazing? Please visit the Little Green Notebook Blog by Pearl Street Interiors to read about how to make an inexpensive Ikea rug not something fabulous all by yourself. 8. I had to end with this delicious looking cherry crumble cake as it would be perfect for a picnic or with tea while doing a little reading. Mowie of Mowielicious is always whipping up something incredible and I am sure you will enjoy checking out his beautiful blog. I hope you have found a project or two that may spark your creative energy this week. I will see you back here soon, until then take care and thank you. -- Leslie.